Hello and welcome to the 37th issue of the ECS newsletter. November has started the same way October finished, busy. Since launching the new Elite Jet Star fount we have sampled over 1000 litres for trial. Customers worldwide have been impressed with the performance of the product. Comments received have focused on the extremely low dosage level required as well as the fast start up. 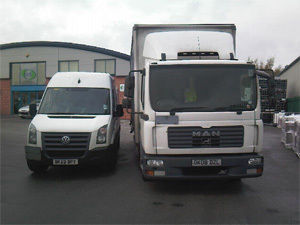 The beginning of November saw ECS take delivery of 4 new vehicles. This has strengthened our logistical department and allowed us to provide an even greater service to our UK customers. Darren Hallett has been out of the country again this month visiting and supporting a distributor in Tunisia. Further European trips are planned for Darren before Christmas including Greece and possibly the Nordic regions. Elite Coldstar Fount Solution is a mild acid fount solution formulated using the latest technology to meet the high demands of the newspaper industry. It is formulated for use with brush, spray and conventional dampening system. The superior surface tension reduction of Elite Coldstar Fount will allow the printer a large operating window and reduce the amount of water to be used on the press giving denser colours and sharper halftones. Elite Coldstar Fount will also reduce calcium build-up avoiding frequent machine stops and with its effective biocide system will provide excellent protection against bacteria and fungus growth in all types of dampening systems. Elite Coldstar Fount also has the reassurance that it has been certified by FOGRA and WIFGA against corrosion and polymer resistance.